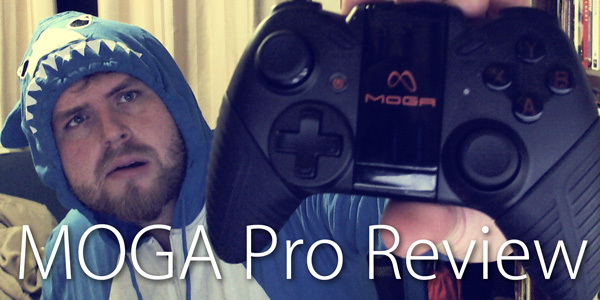 Also included in the box is the MOGA Pro Controller. A Bluetooth, twin stick game controller for use with Android based devices. MOGA? I hardly knew her! In the hand the MOGA Pro controller feels good with a similar layout to the Xbox 360 controller. The quality of the build feels solid how it is not quite up to what you get from the big three console players. It is much higher than say the OUYA controller’s quality and I would put it on par with many of Logitech’s better offerings. The grips are lightly rubberised but still feel a tad light to me but overall at no point did I feel this was a delicate controller I was in danger of breaking. I’m sure a few tumbles to the ground isn’t going to effect this at all. This is a robust controller and is packaged as such. Inspecting the controller you’ll find a flip out arm used for holding an Android Phone. This is entirely optional as you can place your phone anywhere in range of Bluetooth and it will operate. But placing your phone on the arm however you transform the entire unit into something not dissimilar to an Nvidia Shield. With the phone in place (a Nexus 5 in my case) I found the extra weight added to the controllers feel in my hand and didn’t throw off the balance of the controller at all. The arm can rest in two open positions. One at 90° and the other at 135°. Personally I’d have enjoyed a third fixed position at 180° but the two available angles were comfortable enough for prolonged use. The world’s most useless button? 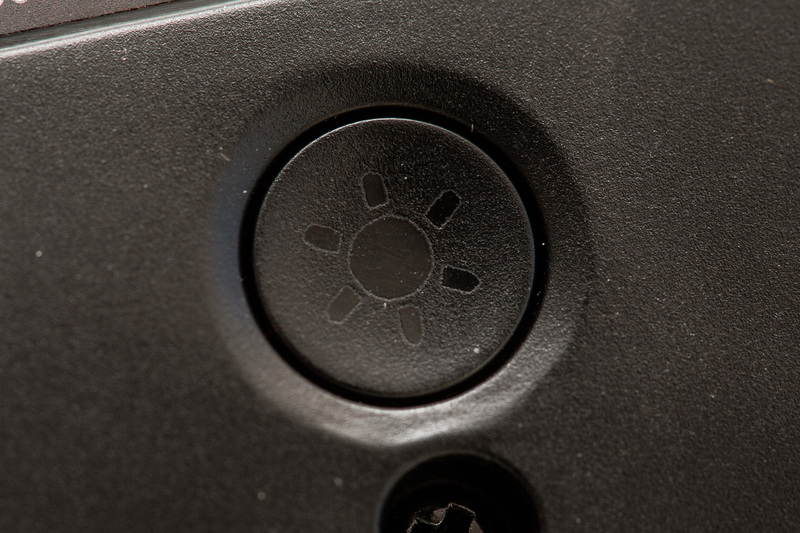 On the rear of the controller however you will find a small button with a sun emblem on it. At first I didn’t realise anything on the controller had changed. So I pushed it again. HOLY CRAP! The ABXY buttons were backlit! I thought to myself what an entirely useless feature this was. Who would ever need this? 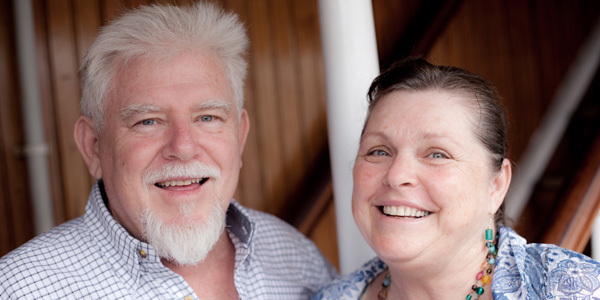 My parents were visiting for dinner one night and I had left the controller on the lounge room table. They asked about it and among my general praise I pointed out my favourite most useless button. Turns out they didn’t agree at all. The room was low light and without the backlight they couldn’t make out the button labels. At this point both of my non gaming parents played Jet Set Radio. They were terrible at it but that is beside the point. The function I saw as useless as a seasoned gamer is actually incredibly valuable and attractive to some non traditional gamers. You might think why this would affect you but if you count yourself among those who wish for more substantial game experiences on Mobile then making those experiences attractive to those beyond the core gamer is important. As for the core gamers and the world’s most useless button? Well it’ll never get in the way and frankly it might help you sell some non-gamers on it. I did just say Jet Set Radio. Did you know Jet Set Radio is on android? IT IS! 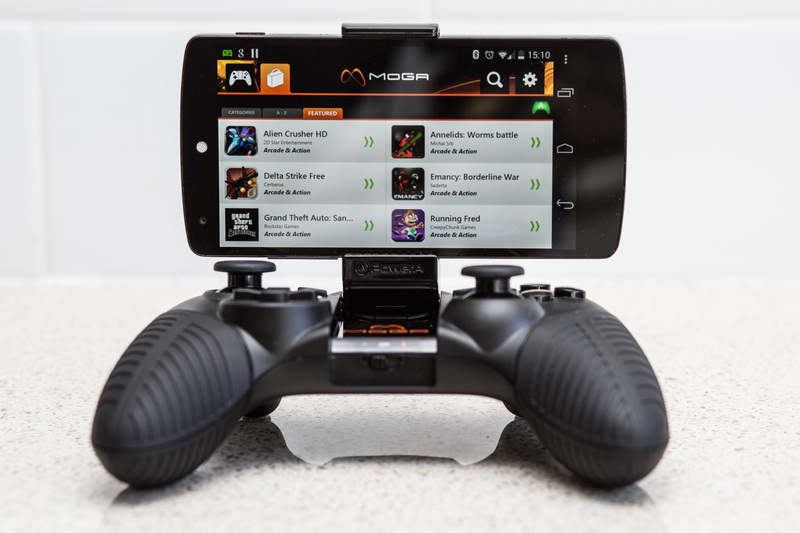 When using the MOGA Pro you need to install the MOGA PIVOT App. This is used to pair the controller to your phone/tablet/misc and launch games. Also included is a store for compatible games. This is an excellent addition because unfortunately the one thing that will always be the downfall with devices such as this is the available games. 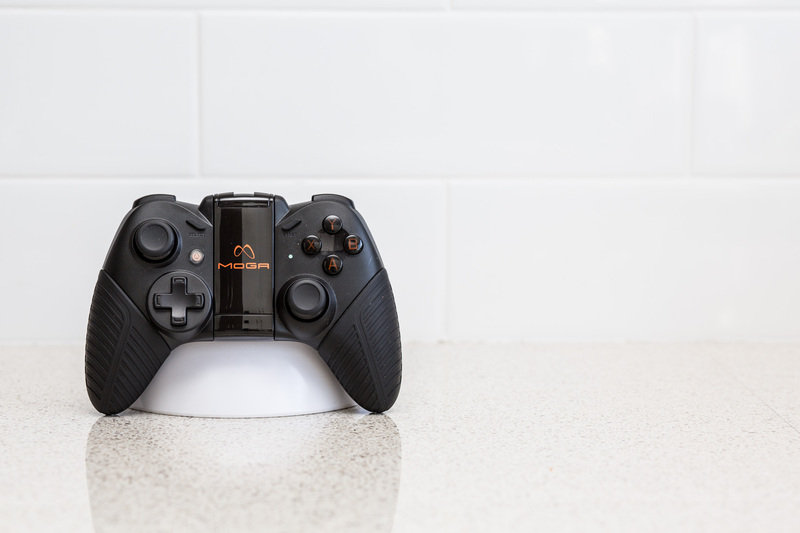 With this implementation there is no doubt the controller will work in game and as the popularity of the MOGA brand grows more software is added to the store. It’s also worth noting that software is not purchased through MOGA PIVOT itself but rather it will purchase the app through the google play store after selecting it in PIVOT. So this brings me back to Jet Set Radio. There are quite a lot of games that work with the MOGA Pro so far but this is really the highlight for me. I’ve got the game on most available platforms (DC, PS3, VITA, PC) but I did not realise they had done a mobile port. This version is by far my favourite. Looking better than the original game, in a portable form with a truly appropriate controller gave the classic game a new life for me. Truly if Sega can continue to bring Dreamcast Classics to the android with this controller I will buy every single game. Now there’s lots of other good games but honestly this game alone makes this device worthwhile to me. That and the awesome stand it comes with of course. Does it work with emulators? Yes. Now hutupsay on the emulatoray. So far I haven’t actually had the controller run flat on me. The estimate is 12-15 hours and I can attest to around 10 hours of use with no charge required. Another way to look at it your phone will require recharging long before the controller will. Likelyseveral times over. How do I recharge the MOGA Pro? It comes with a micro USB cable. Your android device probably uses one too. Hooray for standard connectors! 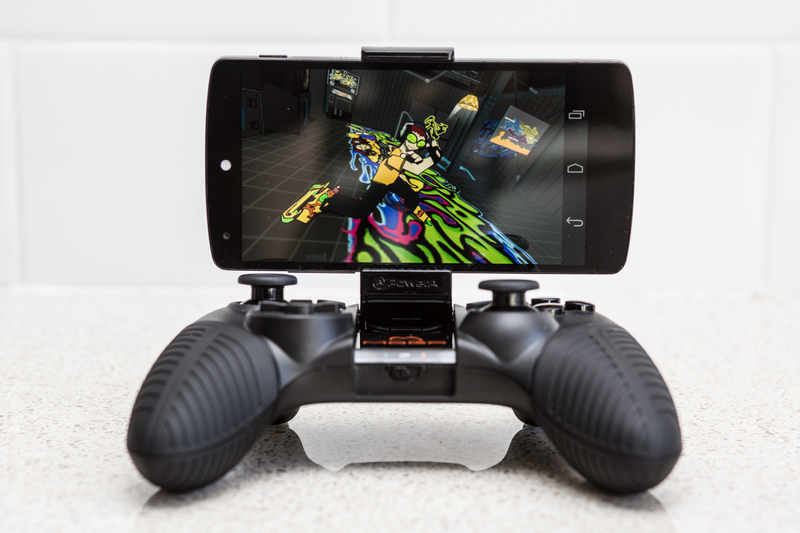 The MOGA Pro Controller completely changes mobile gaming for me. Gaming on mobile for me only really allowed for short burst games that I could play for 5 minutes and put away. Now I’m happy to play with my phone in a similar fashion to that of my VITA and 3DS and really if you don’t have an existing handheld then this is a cheap way to transform your android device into a more traditional device. There will be better controllers and there will be more software support in future but this device at this point in time is the turning point for me where traditional gaming on mobile is viable.